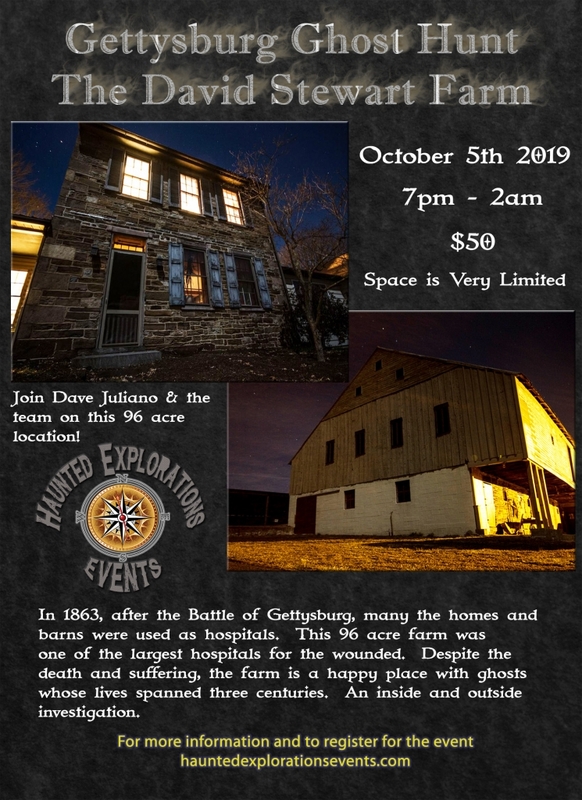 Come investigate the haunted David Stewart farm in Gettysburg With Dave Juliano and Team .This is the site of a confederate field hospital on the retreat trail. 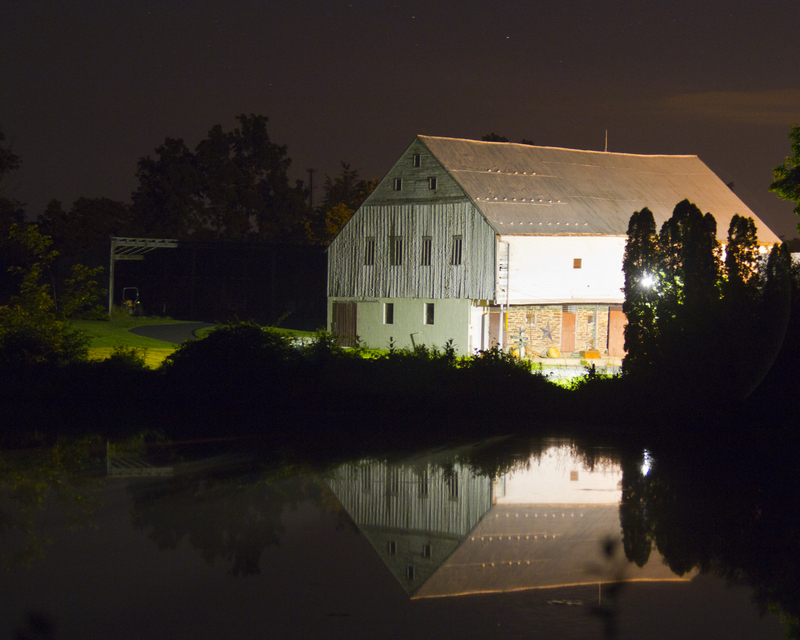 Some of the claims include phantom footsteps in the barn and the shadow man, much activity in the house which was the hospital and the basement… The grounds are incredibly active and have been known for the entire regiment being seen in the field. Plan to do a lot of outside investigating on over 96 acres of civil war history!